Estelle Faguette, age 33, lay dying from pulmonary tuberculosis, acute peritonitis, and an abdominal tumor. On February 10, 1876, a doctor declared that she only had hours left to live. On February 14, during the night, a demon appeared at the foot of her bed. But then she also saw the Blessed Virgin at her bedside, rebuking the demon – which immediately departed. 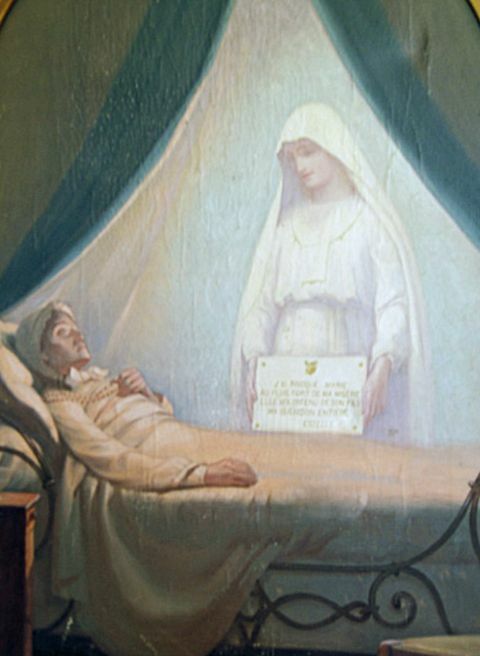 The Blessed Virgin appears at the bedside of dying Estelle. The next night, on the 15th of February, both the Devil and Virgin appeared at the same moment. Our Lady of Pellevoisin as seen by Estelle. Estelle saw a marble tile wrapped in white silk paper, but found it impossible to pick up. Then Mary said it was time to look into the past. Estelle’s past mistakes were reviewed. Stunned at what she had done over the years, she felt great sadness. Mary just remained silent and then left with an expression of goodness on her face. The third apparition was on February 16th, and this time the Devil was a long way away. But Mary reassured her that her wrongdoings were in the past, and her self-denial has “put right the wrongs.” Then Mary reviewed the good things Estelle had done. Mary was touched by a letter Estelle had written last September in which she compared her parents’ suffering to Her Son’s suffering. Estelle had many visits by the Virgin Mary and many messages. Estelle began to feel dreadful pains in her stomach and abdomen. 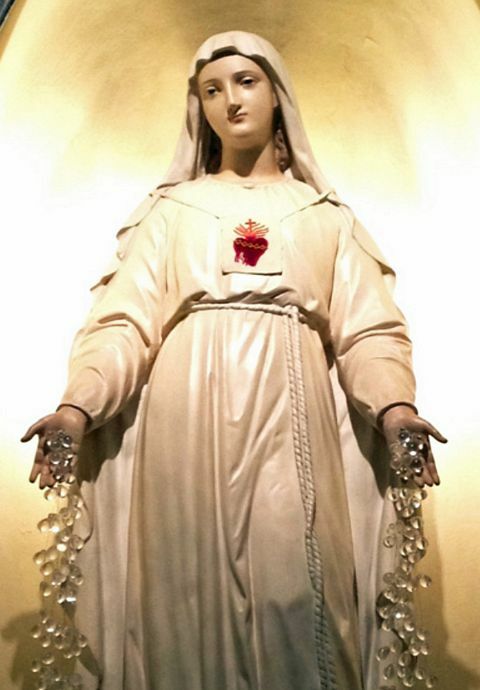 Holding her rosary in her left hand, she gave her suffering up to God. Little did she know that she was in the process of being healed. Soon she felt rested, well, and healed – except for the lack of functioning in her right arm. But the Parish Priest believed that when he brought her Holy Communion later that she would be able to make the sign of the cross with her right hand – and it was true that she was able to, later. One of the visions given to Estelle. Estelle wished for some sign of her power that she could prove to others, but Mary reminded that her own miraculous healing was evidence enough – and to let it be known. The eighth apparition was uneventful on July 3rd. Another vision given to Estelle. During the thirteenth visit on November 5th, Mary said that she chooses the meek and mild for Her glory. She told Estelle to be brave as many trials are coming soon. During the fourteenth appearance on November 11th, Mary praised Estelle for making a scapular and asked that she make many more. Estelle asked Mary if she could have the scapular Mary was holding. Mary just told her to come and kiss it. The Blessed Virgin bent down towards Estelle so she could kiss the scapular – a most memorable and wonderful moment for Estelle. Mary added that she wanted her to go to higher authorities and have a model of this scapular reproduced. Mary spread her hands, and rain fell very generously. Within each drop was clearly written a grace – health, trust, respect, love, holiness – all the graces which one could ever think of. She made a semicircle around Estelle’s room and disappeared. 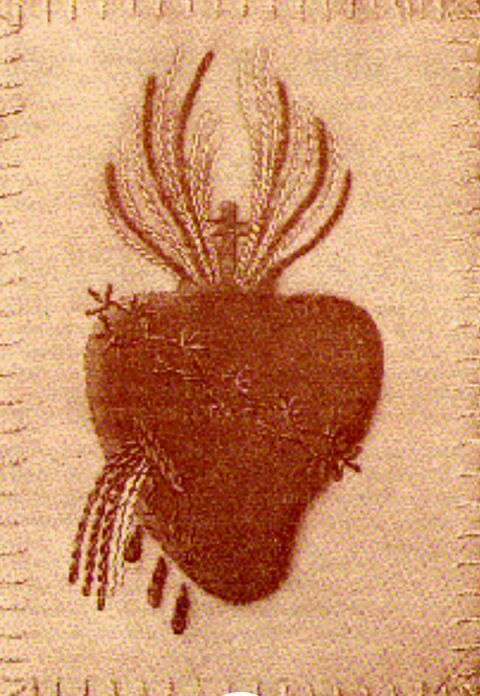 The apparitions were quickly recognized by Monsignor de La Tour d’Auvergne, the Archbishop of Bourges. 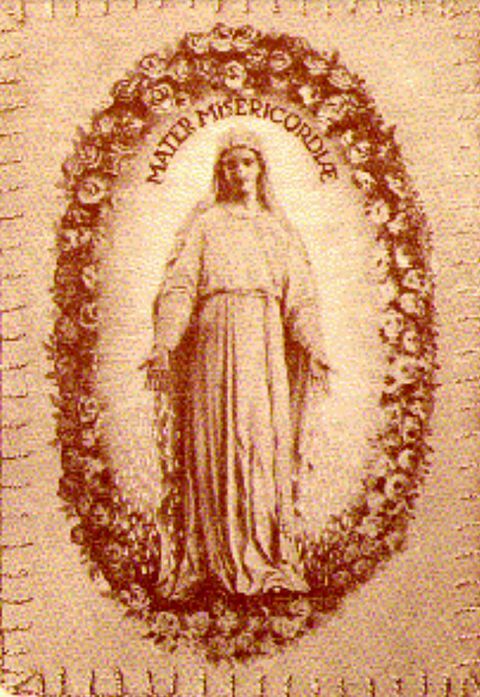 He authorized the making and distribution of the scapular and allowed public worship of Our Lady of Pellevoisin. 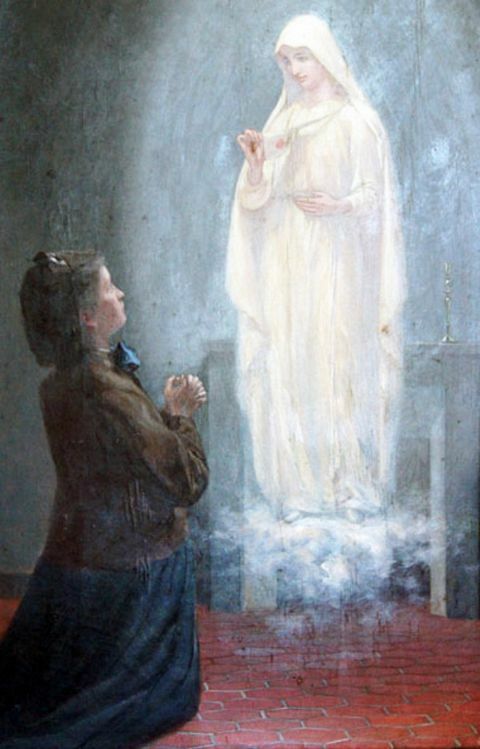 The Archbishop ordered two canonical inquiries into the apparitions, which resulted in a favorable verdict on December 5, 1878. Later, in 1883, the parish priest of Pellevoisin, Fr. Salmon, accompanied by Fr. Auvrelle, the Vicar General, journeyed to Rome to present Pope Leo XIII with a bound record of the apparitions and a picture of Our Lady of Pellevoisin. The Pope was pleased to grant indulgences to encourage pilgrimages to the shrine. 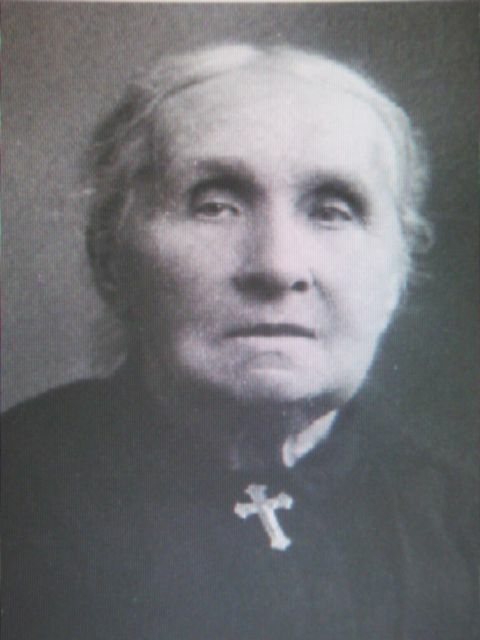 Estelle Faguette died in Pellevoisin at the age of 86 on August 23, 1929 – 53 years after her miraculous healing from death at the age of 33.